Marley, Reserve Champion Steer and Exhibitor-bred Champion. She’s a Belter, Reserve Baby Beef Champion. 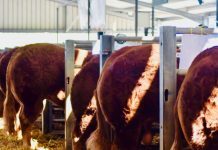 The two-day Royal Welsh Winter Fair which took place on 26th and 27th November 2018 turned into a triumph for the Limousin breed and the Corwen based Edwards family. 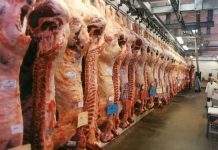 There wasn’t a dry eye in the exhibition hall when young farmer Cai Edwards followed in his grandfather’s footsteps in winning the Supreme Champion prize at the biggest fatstock event in Wales. 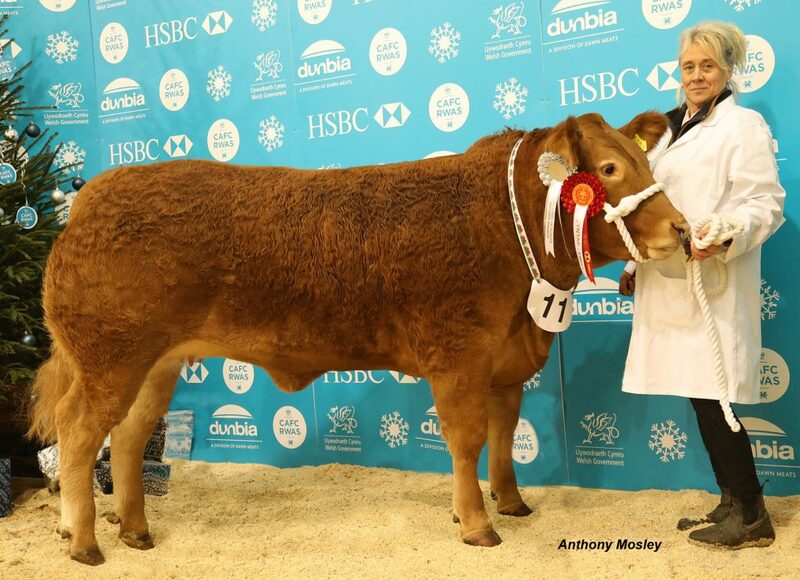 A visibly elated Cai punched the air with delight as his Limousin sired heifer ICandy was tapped out as Champion by joint judges, Powys butcher Arwyn Morgan, who judged the heifers, and Cheshire based butcher Chris Stubbs, the steers. 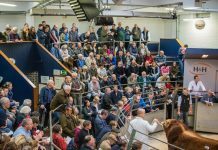 Alongside a huge crowd watching by the ring was grandfather Trebor Edwards, who had won the title 18 years ago with Waindale Prince. Also watching on in anticipation were Trebor’s sons, Eryl and Gwyn, Cai’s father; it was Gwyn at the halter back in 2000. With this victory Cai, who farms in partnership with his brother Dion at Pencraig Fawr, achieved a remarkable double, having won the Supreme Championship at last year English Winter Fair. The black coated 18-month-old Limousin cross, ICandy, bred by Michael Lee, Harwood Shield, Hexham came to Builth Wells on the back of a very successful summer having taken the Reserve Commercial Champion spot at the Royal Welsh Show and the Commercial titles at Anglesey and Denbigh plus she was Supreme Champion at Merioneth. The smart heifer is sired by Widrington Jackpot, who was purchased by the Lee family at the first Limousin Bull sale at Hexham Mart in May 2016. 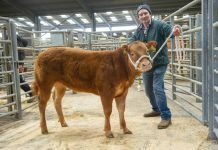 The Edwards brothers purchased her for £1600 at the Hexham store cattle show and sale back in March this year. Weighing in at 672kg, the fair’s auction sale later in the day ICandy drew a £6,600 bid from Arwyn himself, rumour has it as a birthday present for his wife. 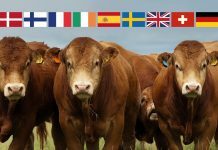 That was not the only major championship success for the Limousins. 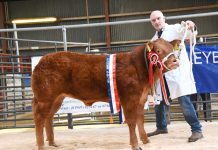 Marley a home bred 17-month old steer from Robert Wilkinson and Jackie Marwood, Leyburn, North Yorkshire took the Reserve Champion Steer accolade and the Exhibitor Bred Championship. 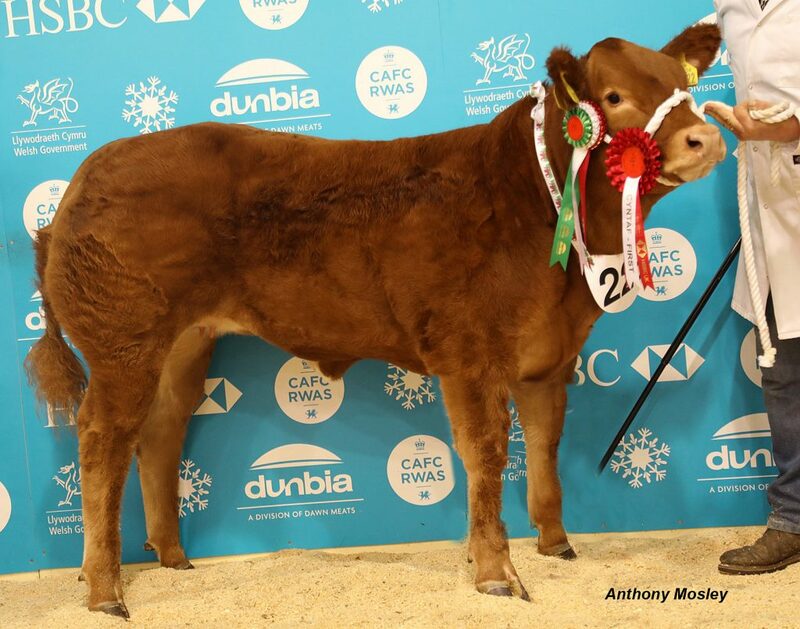 Limousins also led the way in the hotly contested Baby Beef parades, with Queen Bee, a home bred entry from Peredur and Llyr Hughes, who run the Pabo Limousin herd at Llanbabo, Anglesey. Born May this year, the six-month-old heifer, by Derrygullinane Kingbull, has already secured a string of successes. With stockman, and experienced showman, Robin Hughes taking the halter, she was Supreme Champion at Agri Expo in Carlisle earlier in November and Reserve Champion at Anglesey Show back in the summer. Queen Bee sold for £7,500 to Stuart and Lindsay Bett from Stirling. Filling the Reserve slot was another young heifer, this time in the shape of She’s A Belter from Craig and Katreen Malone who had made the long trip from Lockgelly, Fife fresh on the back of success with this heifer at Livescot just a few days earlier. 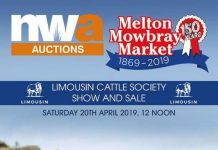 The March-born Limousin cross heifer was bought from the Erskines at Gillbank Farm, Carluke, after Craig had spotted her while judging at Carnwath Show. A special “Butcher’s Choice” line-up, judged by Tom Hughes, Anglesey saw victory going the way of Rambo, a November 2017 born 572kg Limousin cross heifer from Tecwyn Jones, Llanrwst. 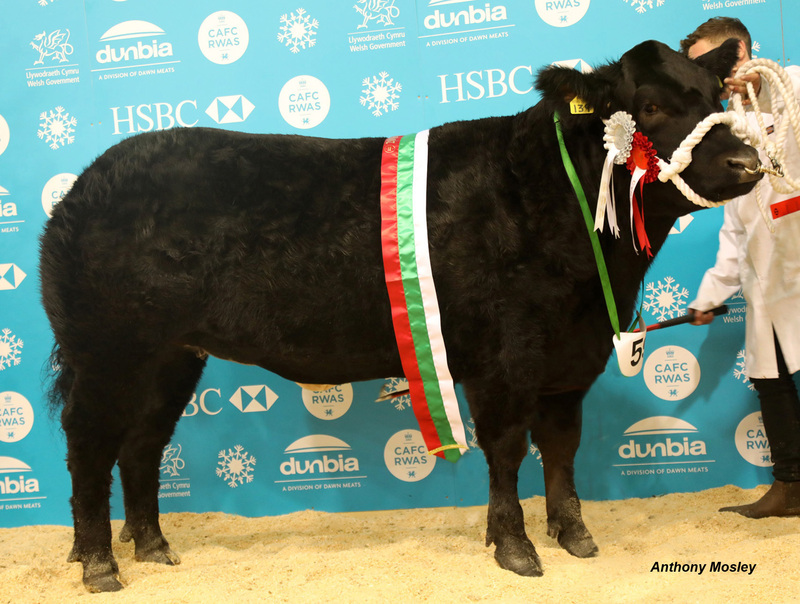 Rambo is another exhibit no stranger to success having taken the Baby Beef Championship at the Royal Welsh Show back in July. 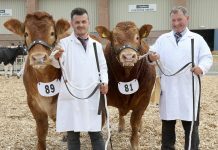 Judging in the pedigree sections saw the Overall Limousin Championship going to Landgate Noral from Colin Harris, Brecon. A May 2017 born heifer bred by R E and S Baldwin, Wigan, Noral is sired by Baileys Elderado out of Cloughhead Jessica. Runner-up was the Reserve Heifer Champion, Glangwden Nicola from Richard Wright, Somerton, Somerset. Bred by C L and F E Jerman, she is by Homere out of Glangwden Eyecandy. Topping the pure Limousin Steers was Bailea Napoleon from T and K Bodily and J Williams, Abergavenny. This June 2017 born steer, bred by Mr M T Jones, Sennybridge is sired by Dragueur out of Bailea Imagine. 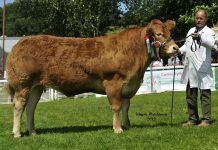 Tyisaf Nailer, bred by P J and T A Jones, Builth Wells and sired by Sheehills Jet took the Reserve Steer title for J M Rowlands, Corwen.